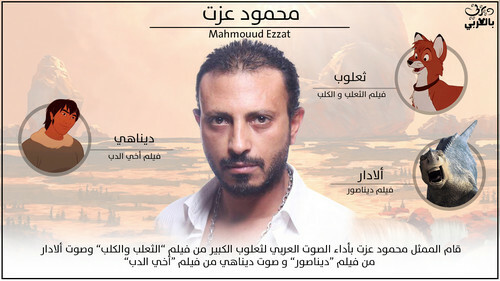 Mahmouud Ezzat محمود عزت ديزني بالعربي. Mahmouud Ezzat محمود عزت أصوات ديزني العربية. HD Wallpaper and background images in the Disney club tagged: photo ديزني العربية - disney voices arabia. This Disney photo might contain signe, affiche, texte, tableau noir, tableau, affiches, portrait, headshot, gros plan, and closeup.